WHAT? Zoro doesn't have a liver?? LOL how the hell is he living?? 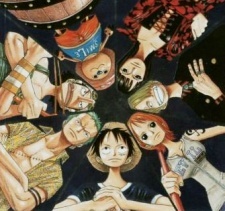 Oh, i understand, but i was surprised that One Piece fan don't have any characters in fav. Why you don't have any OP characters in favs? :( Don't you like Robin or Sanji (or his sweet fiance Zoro^^)?